I recall the excitement that I felt every year as a child and as a teenager as the signs of summer’s end came. Looming ahead was the beginning of a new school year. It never felt like a return to what I had known the year before, but as an opportunity for something new. In my teen years, the secret something new that felt exciting was a “new” me. Of course, that guy never appeared. In August of 1965, I was slated to enter a brand new school, a combined junior-senior high. It was the beginning of life as a teen. It was 1965, and I felt the lure of something “cool.” I remember shopping for school clothes and buying a few things that, in hindsight, would be classified as “mod.” I was reinventing myself. It didn’t work. Hidden within almost every new experience, I think, is the lure of the “new self.” The new self, of course, is wiser than the old and will not make the same mistakes. The new self starts with an imaginary clean slate with the baggage of the past left behind. The new self presumes collective amnesia on the part of everyone else. There are, doubtless, many of these dreams within the heart of every religious convert. I recall reading the deep frustration expressed by one convert to Orthodoxy that he had seen no evidence of theosis in his life. I daresay he had seen little or no moral improvement as well. 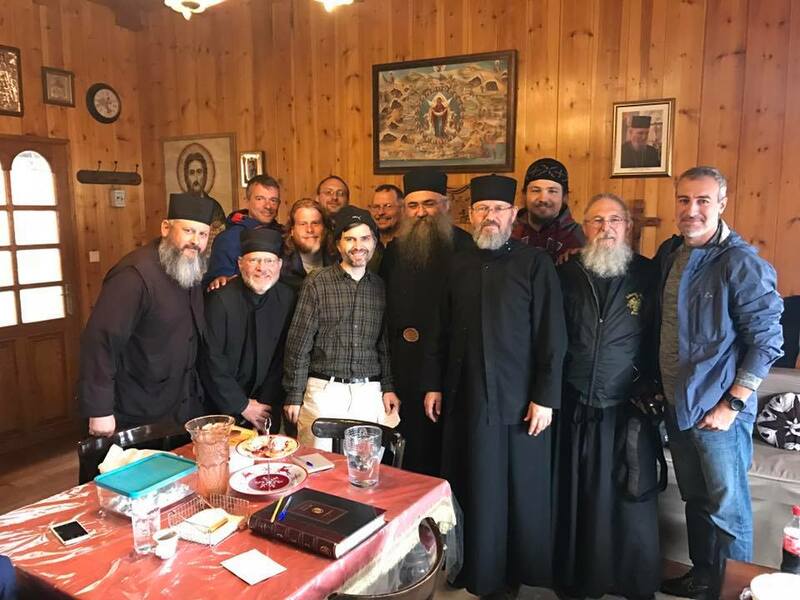 I had occasion during my recent pilgrimage to hear senior Orthodox monastics speak about the Christian life in general, and monasticism, in particular. I was struck that a common topic emerged from both: “We must be true to ourselves.” The monastic who enters the life trying to be somebody other than themselves will not survive. 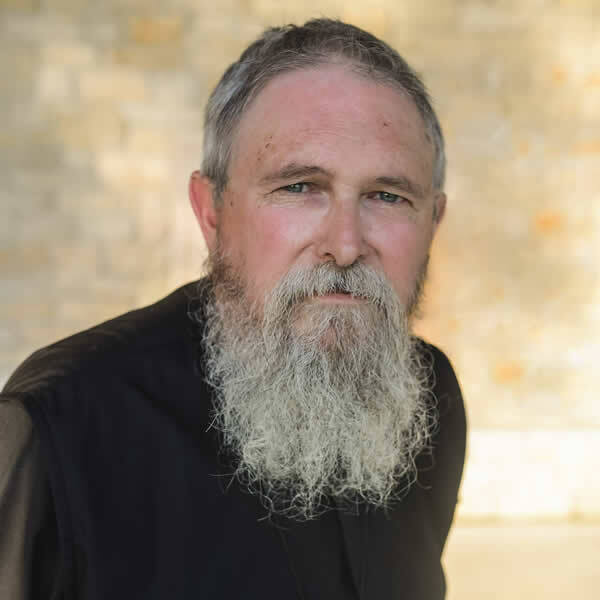 One of the fathers observed that it is increasingly difficult to find good candidates for the monastic life – reflecting the disordered personalities so rife within our cultures. On a personal level, I was struck by how much of what was shared was like things I have written myself. When that sort of thing happens, I confess to simply being reassured with the comfort of having gotten something “right.” It was from a monastic that I first heard teaching about the “false self,” so I suppose I should not have been surprised. The invention of the self (and its reinvention), much like my childhood fantasies, is delusional. It is a wasted effort in which everything runs in the wrong direction. We can, in truth, never be other than we are; everything else is a façade, a psychological Potemkin Village. Such efforts never hold up to examination. It is with this understanding that I have challenged the notion of “moral progress.” That concept, when practiced by the modern mind, is delusional. 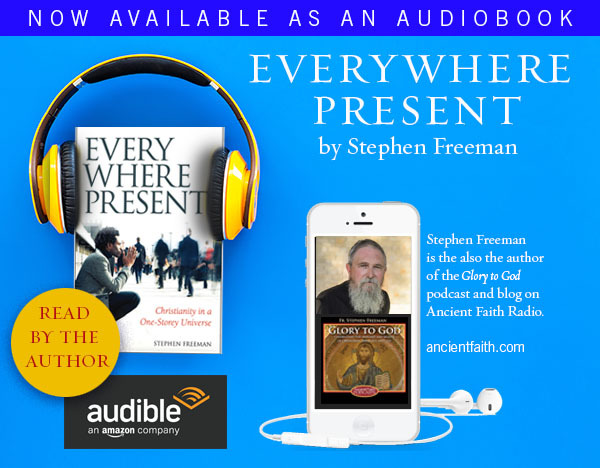 It is not that there is no change (we are surely promised transformation in Christ), but that the change which occurs is something other than the progressive notions of the modern world. We do not get “better and better.” More accurately, we may become more honest, more truly ourselves, more willing to acknowledge the truth of our lives, more willing to bear our weakness and infirmities. In the paradoxical life of true Christianity, striving to be better often feeds the darkness of our shame. We become angry at our failures, judgmental of those around us, suspicious of others, anxious and depressed. The Cross provides the pattern for the Christian life. It is the great counter-intuitive march towards glory, a glory that is crucifixion itself. The moral/spiritual life, when treated as one more progressive project, is largely marked by constant failure or worse. We cannot teach a corpse to behave like a living human being. Until the inner-man is healed, all outward efforts will end in frustration or a false existence. What is required in our life is not new behavior but a new creation. That new creation begins in the very depth of the soul. The journey to that depth is marked by weakness, shame, loneliness and what might even feel like failure. It is the difficult work of bringing into the light what we would often prefer to remain hidden. Christ has not come to improve us, but to remake us from the inside out. That same work requires safety and emotional support. We do not enter the dark under the threat of punishment. The spiritual work of moral improvement, particularly undertaken with the threat of eternal punishment, yields very little, if any, interior work. In what is often a shaming atmosphere, one dare not approach the depths of greater shame. The result might be marked by certain changes in behavior, but not the sort of healing and transformation that is the hallmark of the saving work of Christ. The many dark deeds done in the name of Christ are the predictable fruit of moralism. There is a new self in Christ, renewed according to the image of Christ within. It is in no way the product of our own efforts. Every imagination we might have as to the contours of that new self is just that – imagination – and nothing more. Gentleness, kindness, and love with deep respect and empathy for the spiritual struggle of others is the required path of a wise shepherd. God has promised to do the work – if we dare let Him.